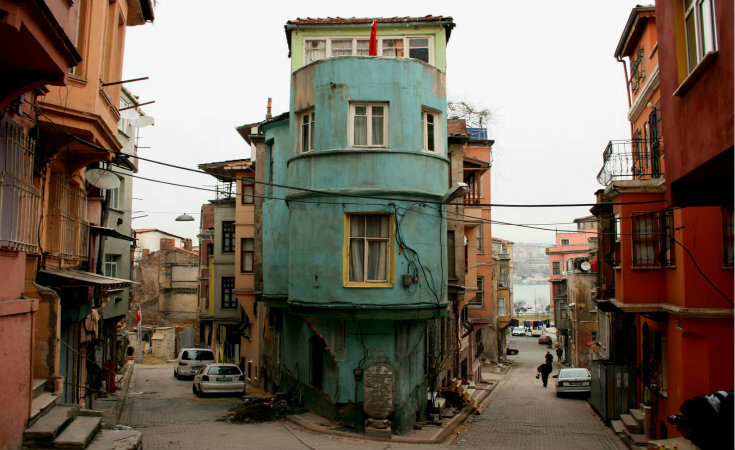 Located on the shore of the Golden Horn, Balat is one of Istanbul’s historic districts. Forming a part of the district of Fatih, it holds many historical structures despite its very narrow streets. Located on the shore of the Golden Horn, Balat is one of Istanbul’s historic neighbourhoods. Forming a part of the district of Fatih, it houses many historical buildings despite its very narrow streets. For those who are interested in getting a glimpse of a once glorious part of Istanbul, and some of the neighborhood’s many stories, you should not miss as half day’s visit to Balat. With its many historical buildings and its old narrow streets, Balat is a veritable studio for photography lovers. You can get good shots while walking around this district, so make sure to bring your camera. Among the many historical buildings found in Balat is the Greek Orthodox Patriarchate, making Istanbul the center of Greek Orthodoxy; the Küçük Mustafa Paşa Haman, built in 1477; the Greek Orthodox High School; the Ayios Strati Orthodox Church; the Surp Hreşdegabet Church; the Bulgarian Orthodox Church, the only iron church in the world; the Ferruh Kethüda Mosque, built by the architect Sinan; and the Kantemir house where the Moldovian Prince Dimitri Kantemir lived for 22 years. Walking through Balat’s narrow streets, or by its shore on the Golden Horn, you’ll be sure to see what makes this neighborhood a living connection to the past. The Chora Museum (Turkish: Kariye Müzesi ), which takes it name from a Greek work meaning “rural area” is housed in a 5th century church. Although it was converted to a mosque after the capture of Istanbul, the museum still preserves the mosaics and frescoes that are among the most splendid examples of Late Byzantine religious art. Called the heart of Balat, the Çıfıt Çarşı can be reached from Hızır Çavus Sokak. In the past it was generally populated by Jewish crafts and tradesmen and today it still preserves its former energy. Here it is possible to encounter trades and craftsmanship already forgotten by much of the world.